Following the 2013 flood, the Colorado Water Conservation Board (CWCB) initiated a program to re-map the predicted 1% chance regulatory floodplain (100-year flood zone) of the most affected waterways. The program was named the "Colorado Hazard Mapping Program" or "CHAMP". The Town is currently reviewing the proposed new floodplain maps, within Town limits. The working draft floodplain map, as well as the current (2012) FEMA-adopted map, can be found here. The Town is hosting a public review session on Lyons Proposed Draft Floodplain Mapping on Wednesday, Dec. 21, from 5:30 to 7:30 p.m., at the Lyons Town Hall Board Room. Boulder County has prepared draft floodplain maps for unincorporated Boulder County. State and county staff held a review session for the proposed draft maps on Dec. 13, which included a presentation and a hands-on map review session. To review or submit feedback to Boulder County's Unincorporated Draft Floodplain mapping, click here. Please remember that in accordance with the Lyons Municipal Code, property owners must remove snow or ice within 24 hours after the last accretion. If sidewalks remain hazardous and unkept, the Town will mitigate and charges will be sent to the property owner. Thank you for your cooperation in maintaining a safe environment! The Town recently completed Storm Water Master Plan, funded by a CDBG-DR grant from HUD. This plan updates a previous plan completed in April 1998. In addition to the basic updates of that plan, this plan modernizes the techniques used for runoff determination at various storm events, introduces concepts of updated codes and standards, water quality treatment of runoff, identifies areas at risk for flooding or inundation during various runoff events, identifies large scale capital improvement costs for the major runoff basins, identifies alternatives that could be considered in developed and undeveloped areas of the Town and adjacent unincorporated areas of Boulder County, and other important elements of a storm water master plan. Feedback submission and versions of the draft plan, including PDF and an interactive map are available here. Wednesday, Dec. 14 | 6:30 to 8:30 p.m.
Vanessa St. Clair from Boulder County Public Health has put together a panel of public health experts to talk about how "reasonable" landlords should respond when a tenant says, "I have bed bugs, or mice, or cockroaches, or pharaoh ants, or dust mites", " I have mold", "I smell old cigarette or marijuana smoke in the rental" or other health issues. Public Health has done a lot of work preparing this presentation, so it should be fantastic. Click here for the flyer. For more Information, contact Susan Spaulding, Community Relations Specialist, 303-774-4384 or susan.spaulding@longmontcolorado.gov. Friday, Dec. 16 | 1 to 2 p.m.
Boulder County will host a ribbon cutting ceremony from 1 to 2 p.m. on Friday, Dec. 16 to mark the upcoming completion of permanent flood recovery-related repairs to Lefthand Canyon Drive and Left Hand Creek. The event will be held at Buckingham Park, which is located at the intersection of Lefthand Canyon Drive and Olde Stage Road. This is the latest permanent flood recovery and creek restoration project to be finished by the county. All are welcome to attend. Great news! 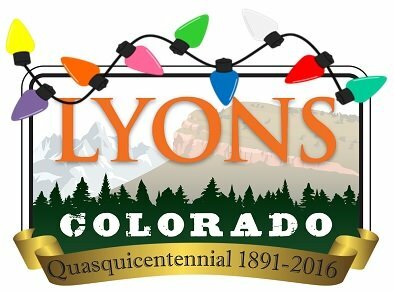 The Town of Lyons, with the support of Boulder County, has renewed the community EcoPass program for 2017. This program provides all Lyons residents with a bus pass for RTD’s front range bus and light rail services. The only change to the program from previous years is that there will now be a small annual fee for the EcoPass that will be due before the end of March 2017. While the cost of the fee is in the process of being finalized, users can expect the annual fee to be between $25 and $50, with exceptions. Some exceptions may include discounts for students, elderly, and low income residents. The pass has a retail value of over $2,000. More details of the program, pricing, and the purchasing process will be determined and announced in early 2017. Until then, current EcoPasses will automatically renew in the New Year. For more information, visit the Town's EcoPass Page, or contact Sustainability Coordinator, Toby Russell at 303-823-6622, ext. 46.